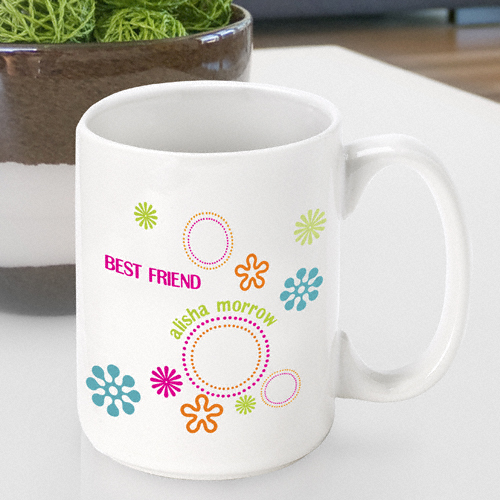 * Get your morning groove on with our Personalized Groovy Coffee Mug. * The bright and cheery colors and whimsical shapes will give a boost every time you take a drink of your favorite coffee, tea or other hot drink. * Perfect as a teacher gift, Mother's Day gift, or for your best friend. * The sturdy ceramic mug holds 15 ounces.